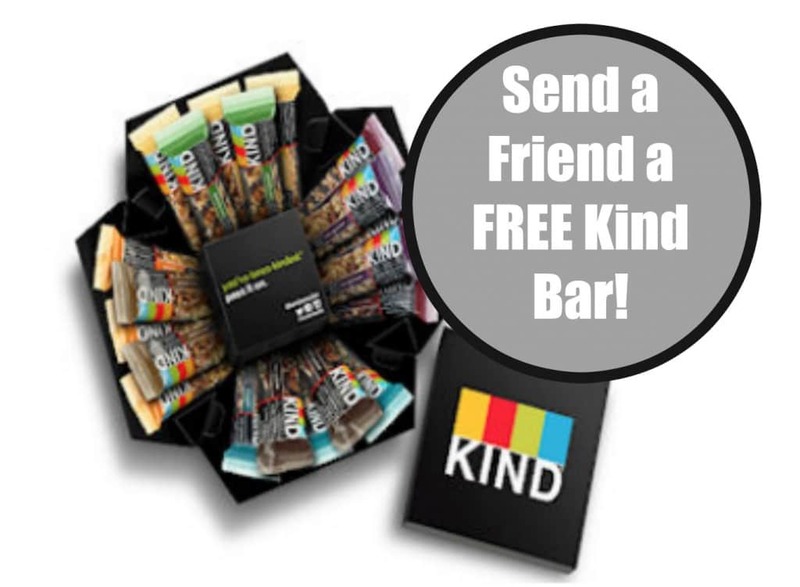 Hurry over here and send a FREE Kind bar to a friend! Just go here and follow the instructions. PreviousPrevious post:$6 off 5 select Prime Pantry Items Plus 3 Month Prime Pantry Membership for $.99 (reg. $4.99 month)NextNext post:HOT! Best Price Ever on Commercial Grade Blendtec Blender on Amazon (I own this and LOVE it)- Today Only!